EverGraze and related projects produce a range of tools and calculators to assist you to make informed decisions for your enterprise. 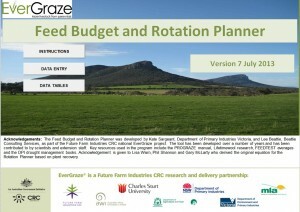 The EverGraze Feed Budget and Rotation Planner is an excel-based tool for simple feed budgets, planning rotational grazing, determining appropriate stocking rates, calculating pasture growth rates, determining how long a paddock can be grazed for and calculating the most economical ration for stock. The calculator now includes a monthly stocking rate calculator and a paddock grazing days recorder. Instructions, examples and video tutorials for feed budgeting and using the calculator can be found on the Feed Budgeting and Tactical Management page. Get instructions on getting Macros to work for EverGraze and MLA Excel-based tools. 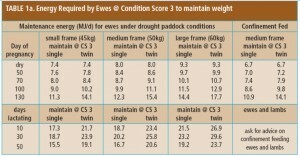 The Stocking Rate Calculator works out monthly stocking rate in dry sheep equivalents per hectare (DSE/ha) throughout the year by adding together the stock numbers of each class and their DSE rating in a given month. This calculator is also available within the Feed Budget and Rotation Planner. These tools provide a simple method for determining ewe feed requirements and intake from pastures. They are developed for each time of year and can be accessed from the links below. The MLA Feed Demand Calculator allows producers to gain an appreciation of the pattern of feed supply and demand over a twelve-month period, the location of “feed gaps” and the ways in which modifying the livestock enterprise might help to close these gaps. The Rainfall to Pasture Growth Outlook Tool presents the actual rainfall and indices of soil moisture and pasture growth for the past nine months and an outlook for the next three months for over 3,300 locations across southern Australia. Research at Wagga Wagga showed that flushing ewes by grazing them on green feed (such as lucerne) for one week prior and one weeks during joining could result in higher twinning rates and around 10% extra lambs marked. However, the opportunity to graze ewes on lucerne needs to be compared to other option such as finishing lambs or growing weaners during the summer/autumn months. 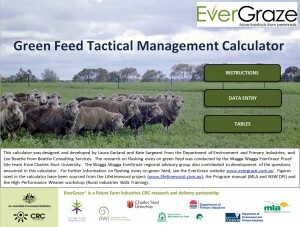 The new Tactical Management of Green Feed Calculator can be used to help with this decision by comparing the economic benefit of each option, accounting for variables such as stock on hand, available green feed, lamb prices and feed prices. This tool is very new and is currently in a pilot phase. We would be keen to receive your feedback. 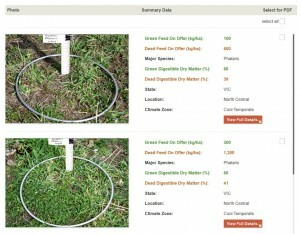 The Feed On Offer (FOO) library allows users to estimate FOO and nutritive value of grazed pastures. The 500 records available were collected by experienced agronomists across VIC, NSW, QLD, WA and SA, from typical pastures in each region in summer, autumn, winter and spring with a range of FOO values at each harvest. 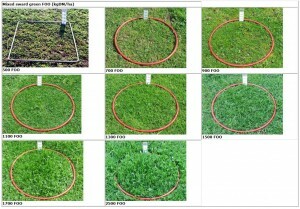 A photo guide for estimating feed on offer (FOO) in pastures. 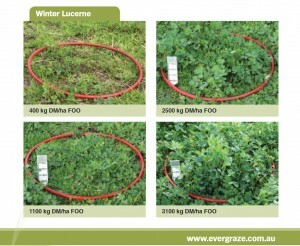 The Feed on Offer (FOO) of chicory and lucerne pastures provides a guide for estimating FOO in lucerne and chicory. 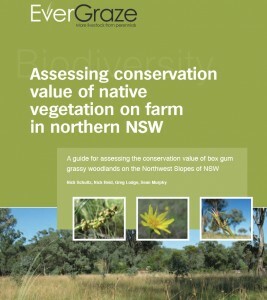 Estimating feed availability – native perennial pastures provides a visual guide for estimating food on offer for three of the most commonly found native grass genus in grazing pastures across south eastern Australia. 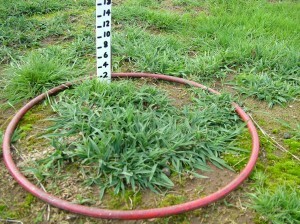 The Pasture Improvement Calculator will help to work out the costs and benefits of resowing pastures. The tool allows inputs of costs of resowing, the benefits of the resown pastures to livestock, soils and the environment at any given financial values (ie different interest rates, tax rates, gross margins etc). If you have not used this calculator before, you may benefit from the explanation of how to use the Pasture Improvement Calculator. 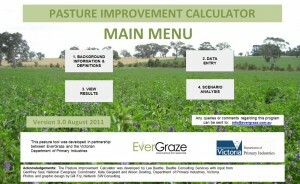 An example of using the pasture improvement calculator is also available. 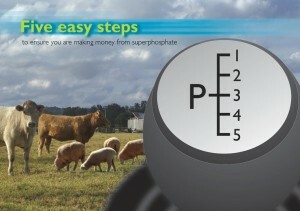 The ‘Five Easy Steps’ MLA Phosphorus Tool allows producers and advisors to understand the value of soil testing and how to use soil test information to plan fertiliser and livestock investments. The information package provides a better framework for understanding and planning the use of phosphorus (P) fertilisers. Applying nitrogen or gibberellic acid during winter can boost pasture production during this period and may reduce the need to supplementary feed. 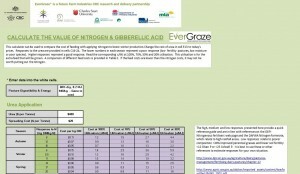 The EverGraze Nitrogen and Gibberellic Acid Calculator can be used to consider the most cost-effective options when feed may be limited. The calculator incorporates the cost of applying nitrogen or gibberellic acid, digestibility of feed, expected responses to applications and utilisation of feed to calculate cost on a cents per megajoule (c/MJ) comparison. 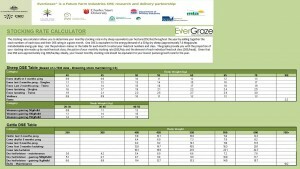 The Nitrogen and Gibberellic Acid Calculator can also be found within the EverGraze Feed Budget and Rotation Planner which is located above on this tools page. 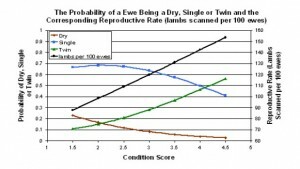 The relationship between condition at joining and reproductive rate and a simple method for working out the responsiveness of your flock. The condition scoring method and handy assessment guide pages have a printable condition scoring chart and a histogram chart for easy recording. 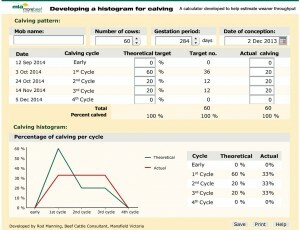 The calving histogram calculator is a tool to measure the performance of your herd management for calving. At the Hamilton and Wagga Wagga Proof Sites, perennial grass hedges and shrub nurseries provided very effective shelter, reducing wind chill by up to 99%. At Hamilton, this reduced the average number of days with poor lambing weather during June to September by more than half, increasing the survival of lambs at the average birthweight by 30%. The economic benefits of shelter varies across environments depending on the risk of high chill (chill index > 1000 kj/m2/hr) during the lambing period, the cost of the shelter, and current conception and survival rates. 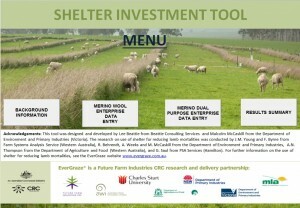 The Shelter Investment Tool was developed to analyse the return from investment in shelter at various locations across the high rainfall zone. The tool is new and is currently in a pilot phase. We would be keen to receive your feedback. 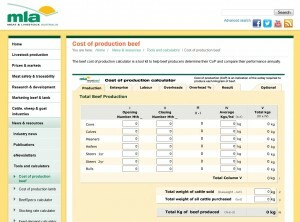 An interactive, ‘do-it-yourself’ tool to help beef producers figure out their cost of production (CoP) and compare their performance annually. 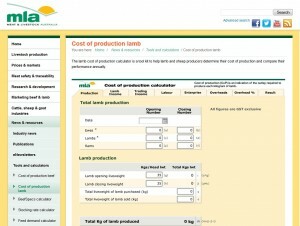 An interactive, ‘do-it-yourself’ tool kit to help lamb and sheep producers figure out their cost of production (CoP) and compare their performance annually. 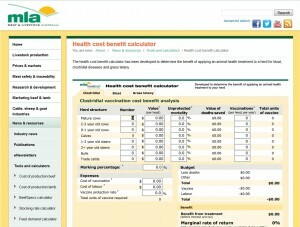 The Health Cost Benefit Calculator has been developed to determine the benefit of applying an animal health treatment to a herd for bloat, clostridial diseases and grass tetany.